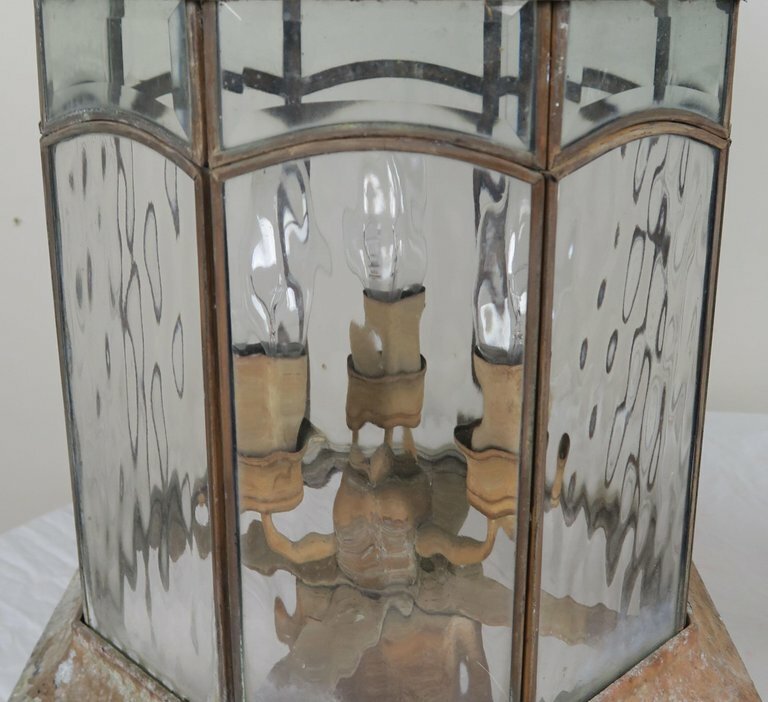 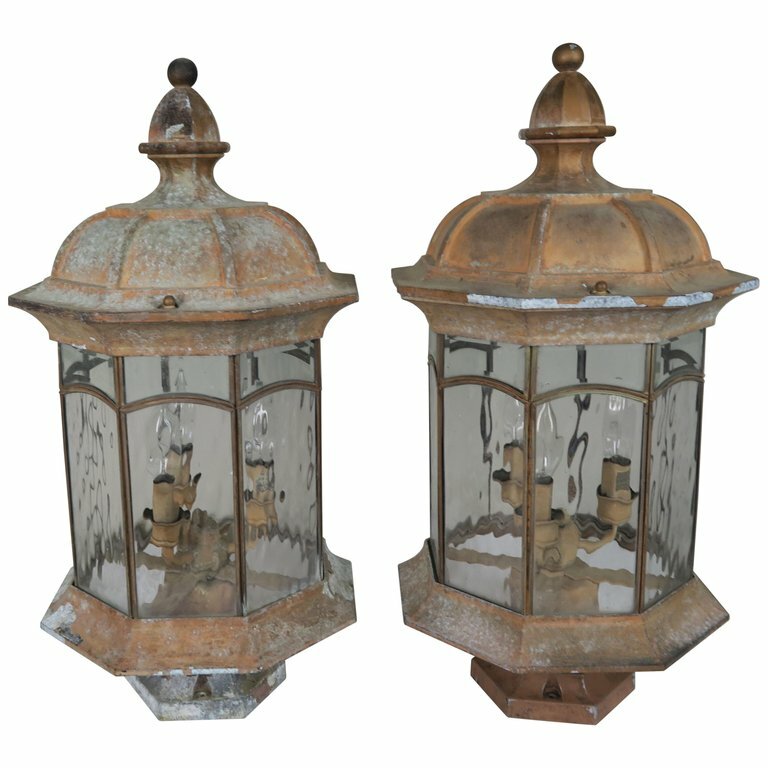 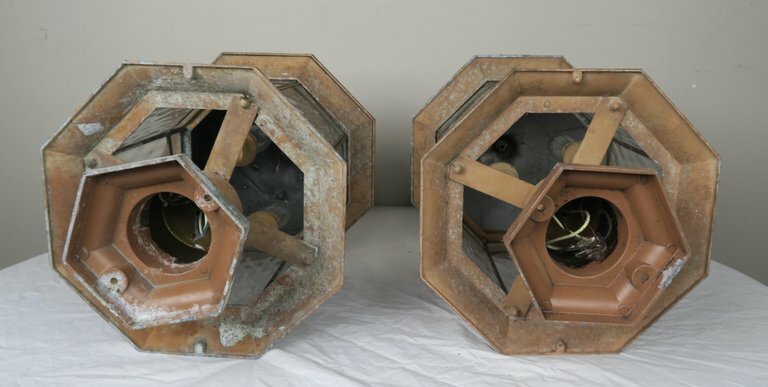 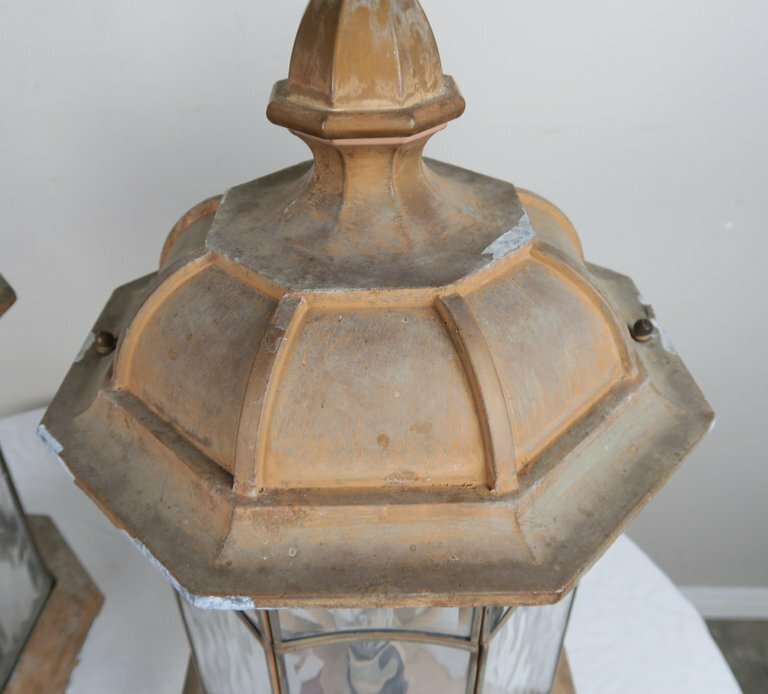 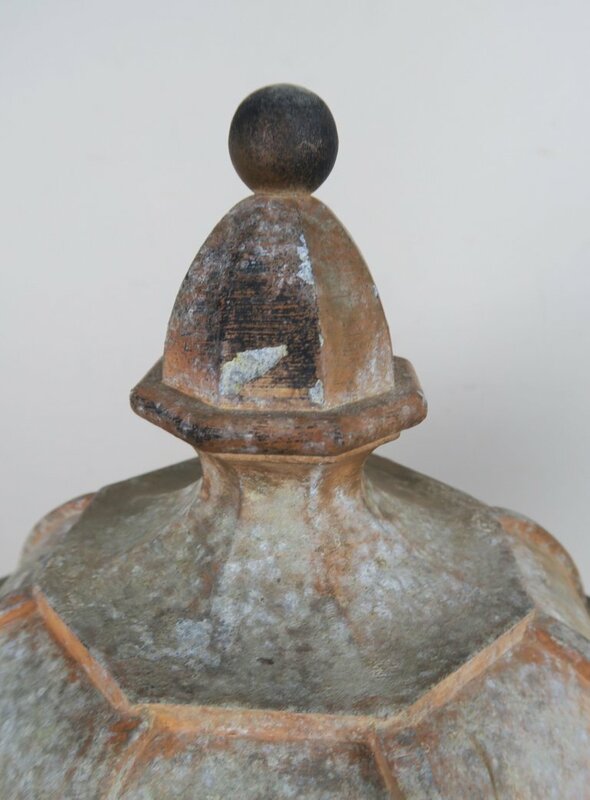 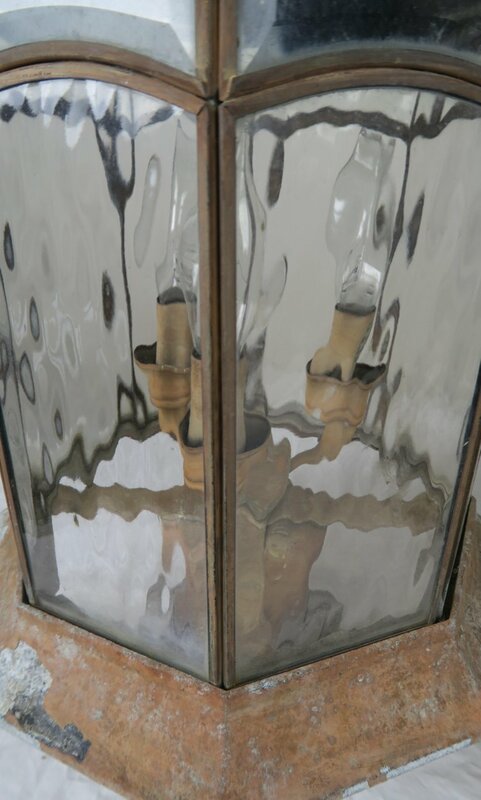 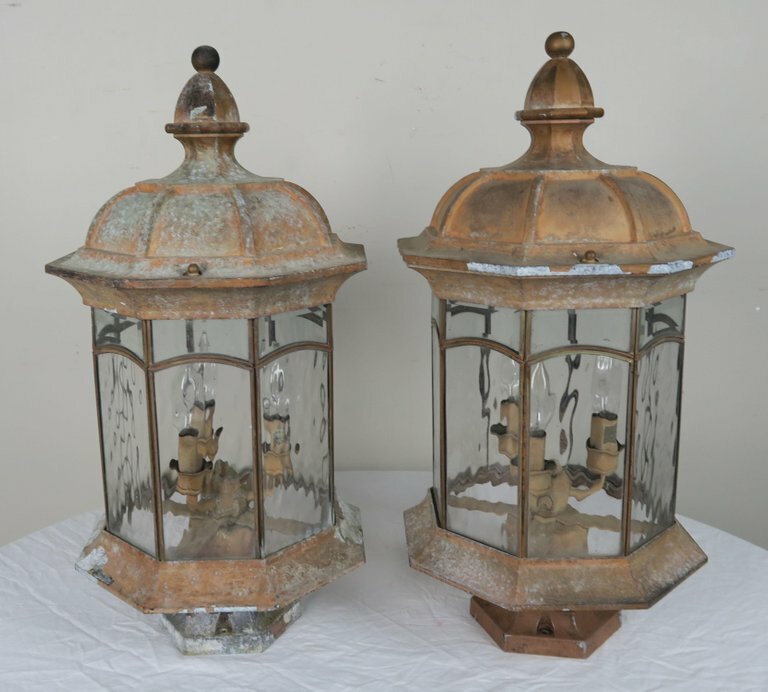 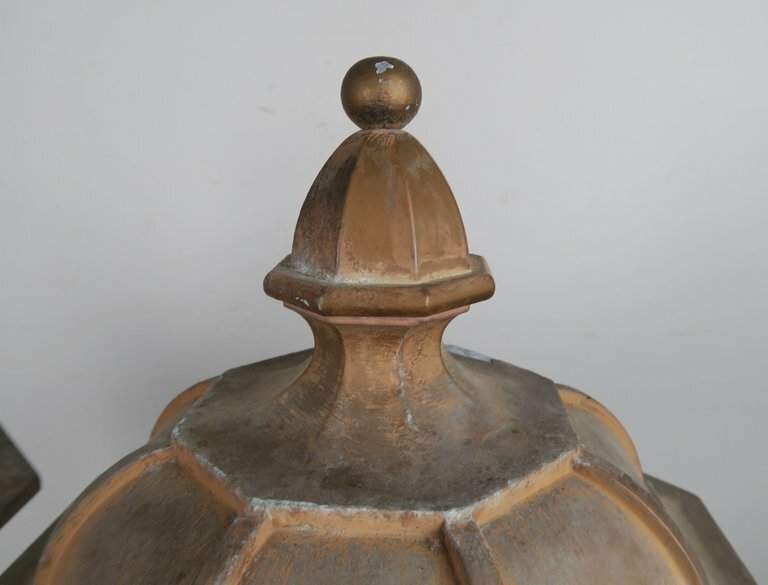 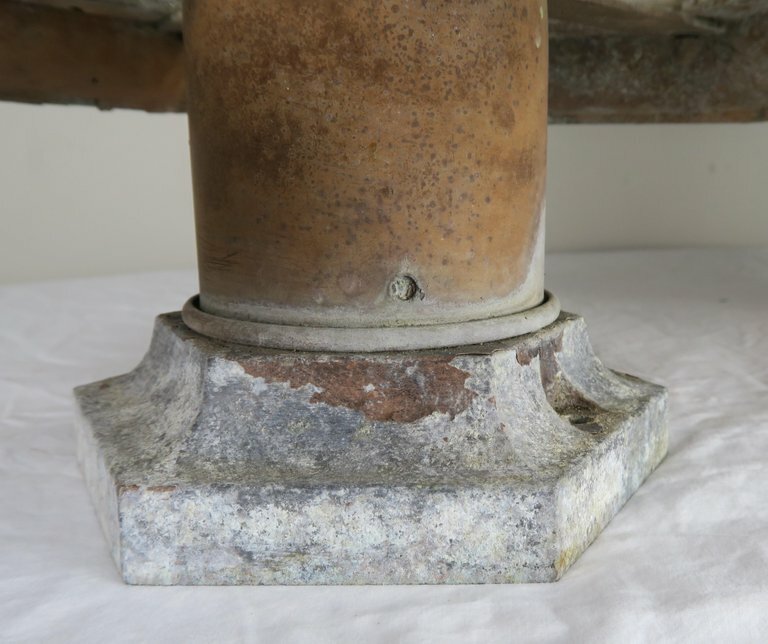 Pair of French pagoda shaped lantern post lights with original glass. 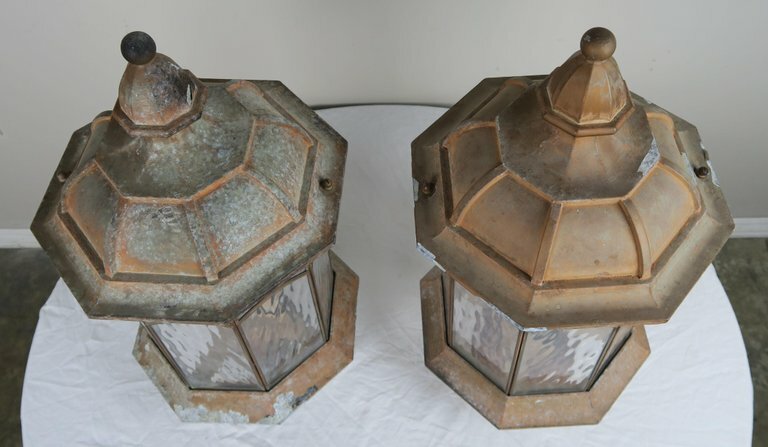 The post lights are newly wired and are ready to install. 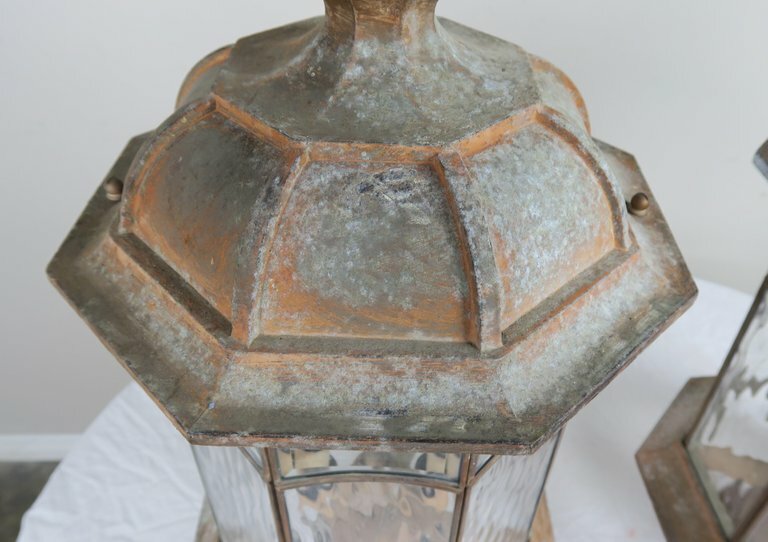 Distressed worn finish with rust.